TimeTap Online Scheduling is a simple & effective tool for the multifaceted and over-stressed life of service providers & appointment based businesses. TimeTap Online Scheduling is a simple & effective tool for the multifaceted and over-stressed life of service providers & appointment based businesses. 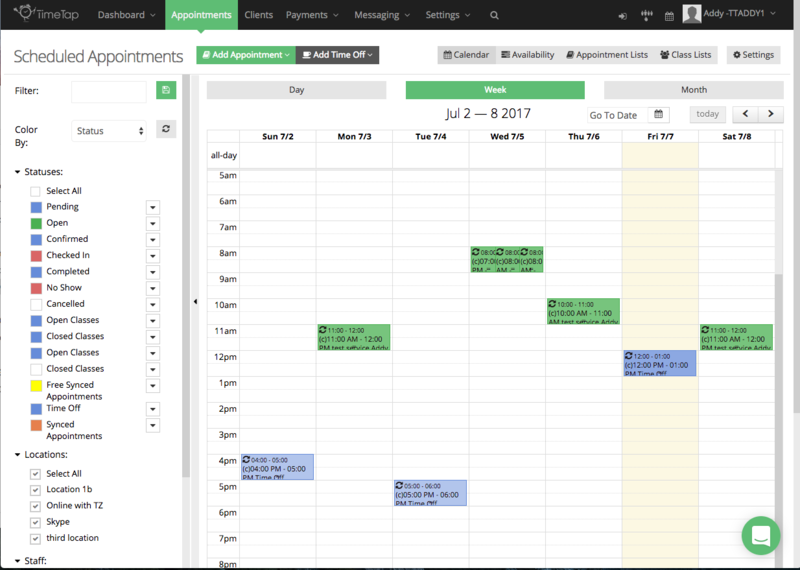 The "insanely simple" booking software provides a client-focused approach to getting appointments on your schedule with beautiful, fluid calendars and lists to navigate & manage your time. 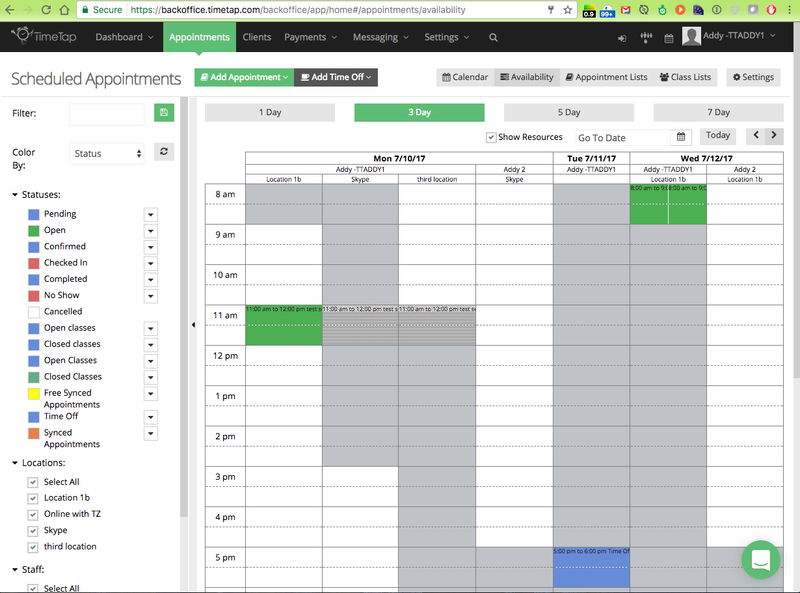 The mobile friendly design lets you get appointments booked by anyone at any time from anywhere. With scheduling available right on your website, TimeTap lets you climb out from under the piles of missed calls and voicemails and back to the front-lines of your business. Automate your scheduling with TimeTap's 100% free online booking software and you'll get more done with less stress. Hi there! 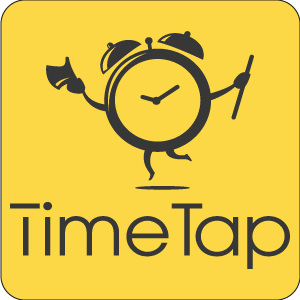 Are you looking to implement a solution like TimeTap?